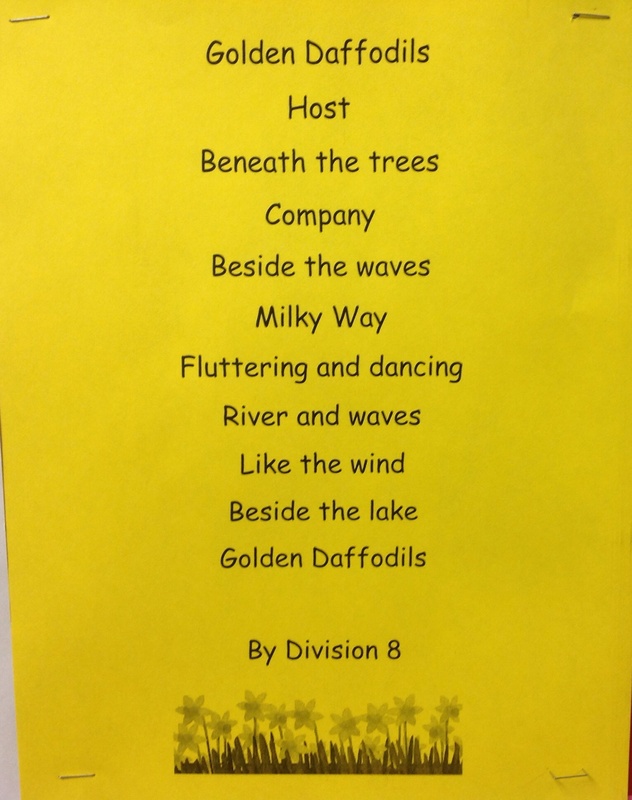 We have celebrating poetry in the library and in the school during the month of April. Today was a very special day: Poem in your pocket day. 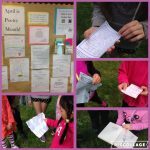 Everyone was invited to put a poem in their pocket to share with someone else. Today classes shared their poems with each other, their buddy classes and more. Some classes also went to David Grey Park to share their poems there. Click here to see a great video on Ms. Shuster’s blog about our day. 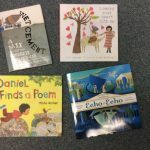 We have lots of great poetry books in the library. Come and check one out any time. Here are a few of the new books we have that celebrate the great art of poetry. One of the sessions I attended at the IRA (International Reading Association) Conference a couple of weeks ago was called “The Art of Teaching Reading”. It was presented by Tim Rasinksi, a professor of literacy education at Kent State University. He shared the importance of ensuring our students enjoy reading through song, poetry and more. One of the poems he shared reminded me that I “read because it’s beautiful”. I would love to hear your responses to this poem. Why do you read? Poem in your pocket day is tomorrow! Tomorrow is poem in your pocket day! Looking forward to listening to and seeing all your poems. 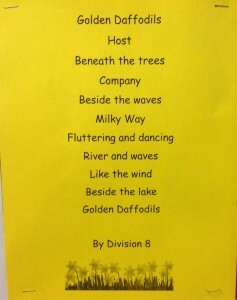 Here are some poems students in Division 8 have written about spring. 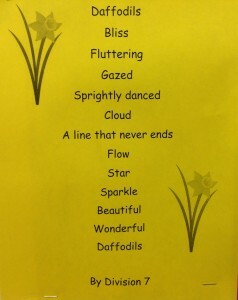 Daffodils : A Child’s Garden of Poetry : Video : The Poetry Foundation. This is one of the videos we watched this week in the library. Enjoy! Poetry here, poetry there, poetry everywhere! 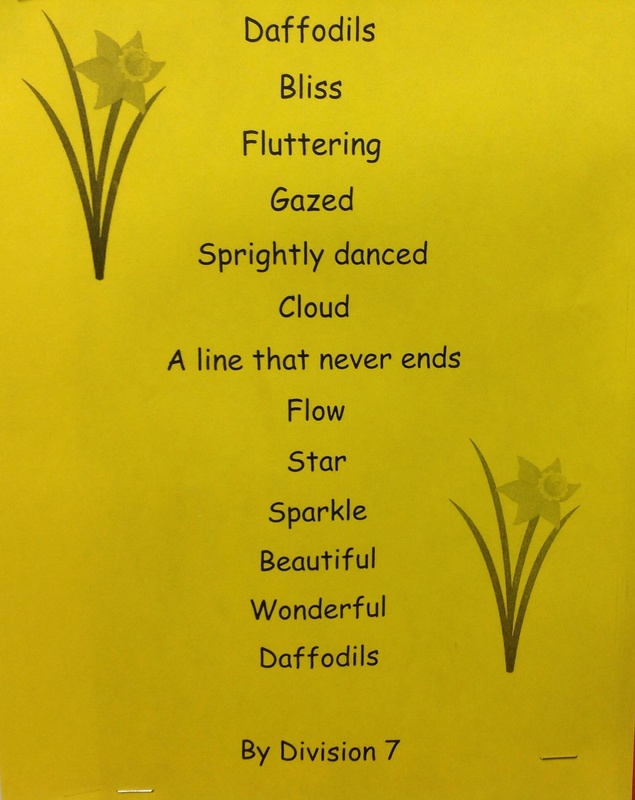 April is poetry month and we’ve been having lots of fun with poetry in the library this past week. Students have been reading poetry and talking about what they notice. 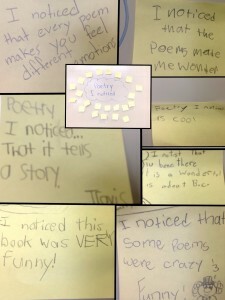 Divisions 5 and 16 read many different poetry books and marked their favourites with a post it. They then passed the book to a friend so they could read the poems they chose and maybe find one or two of their own. 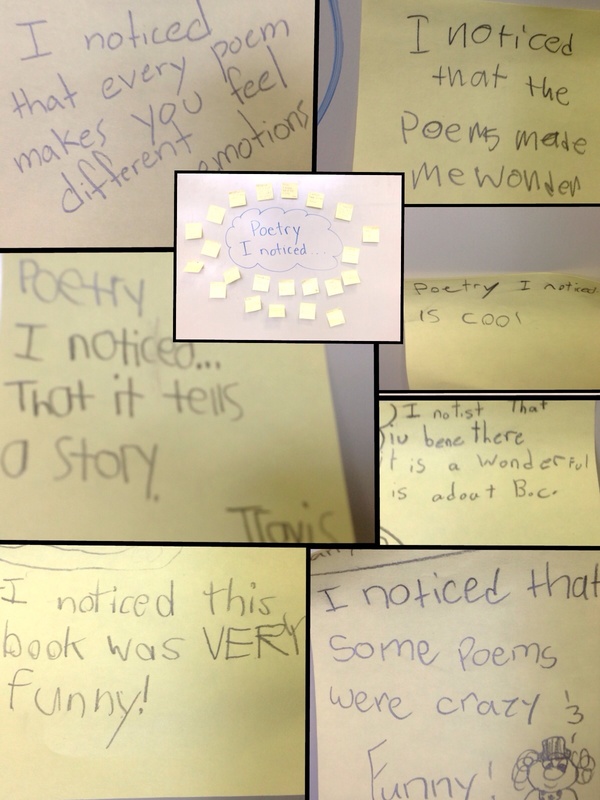 Here are some of the things they noticed about the poems they read.